What preconceived notions do you have about yourself and others? What assumptions do you make about other people? 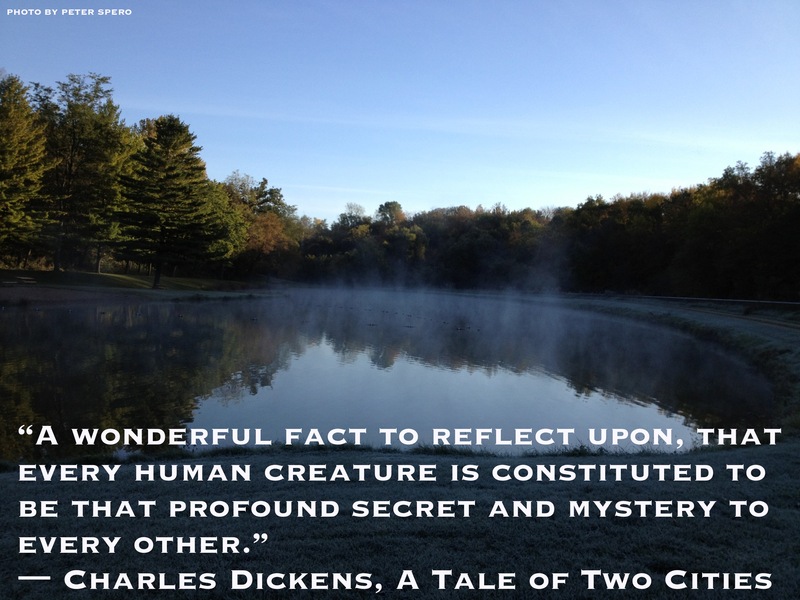 Today I am reminded by Dickens’ A Tale of Two Cities that we are each an unfathomable mystery. When you let go of the need to know who you are, and who others are, you become open to experiencing the majesty and wonder of the reality of our existence. I love Dickens. Thank you for the reminder and not just about Dickens.